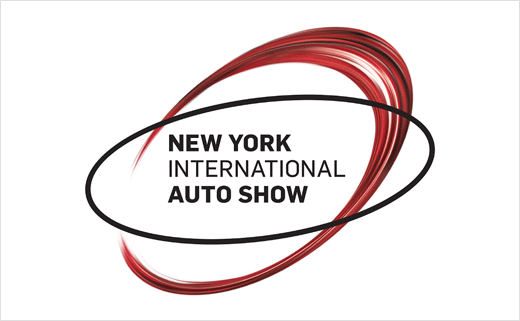 As we get new information on all of the 2018 Toyotas, this article will be updated. So bookmark it! 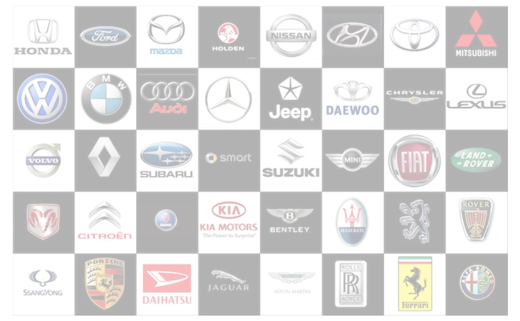 Edited 7/7/2017, added 2018 Camry. Edited 8/11/2017: Added Sequoia and Tundra. Edited 8/26/2017: Added Corolla and Corolla iM. 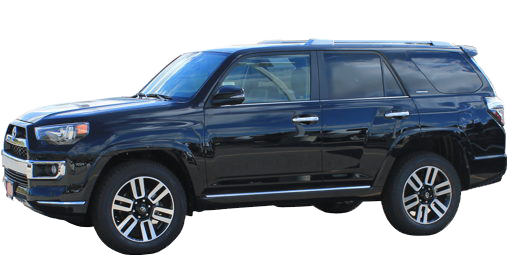 Edited 9/17/2017: Added 4Runner, Land Cruiser, Rav4 and Yaris iA. Edited 11/14/2017: Added Tacoma and Sienna. 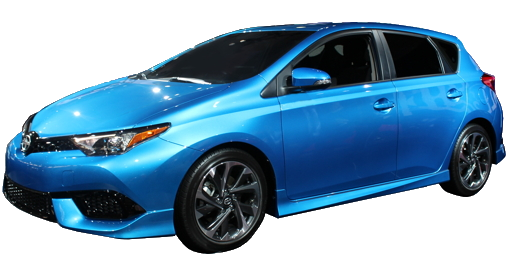 Edited 3/8/2018: Added Prius, Prius Prime and Mirai. A new automatic dimming rearview mirror now houses the standard backup camera display. Audio controls are now integrated into the steering wheel. Two new models are offered: 86 GT and 86 GT Black. 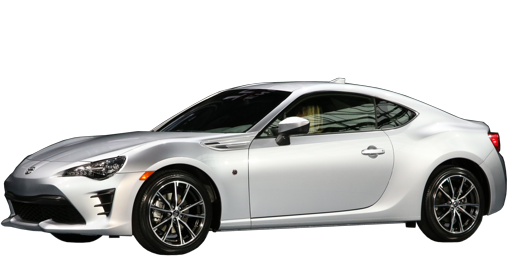 86 GT adds a matte black rear wing, fog lights, dual zone automatic climate control, Smart Key (hands-free locks and ignition), leather and suede upholstery with silver stitching, heated seats, and heated mirrors. 86 GT Black model adds a matte black rear wing with glossy black supports, glossy black outside mirrors, fog lights, dual zone automatic climate control, Smart Key (hands-free locks and ignition), leather and suede upholstery with silver stitching, heated seats, and heated mirrors. The wing on the 86 GT is functional: coefficient of drag drops from .29 to .27, very low for a sport coupe. No changes except various price changes depending on trim. 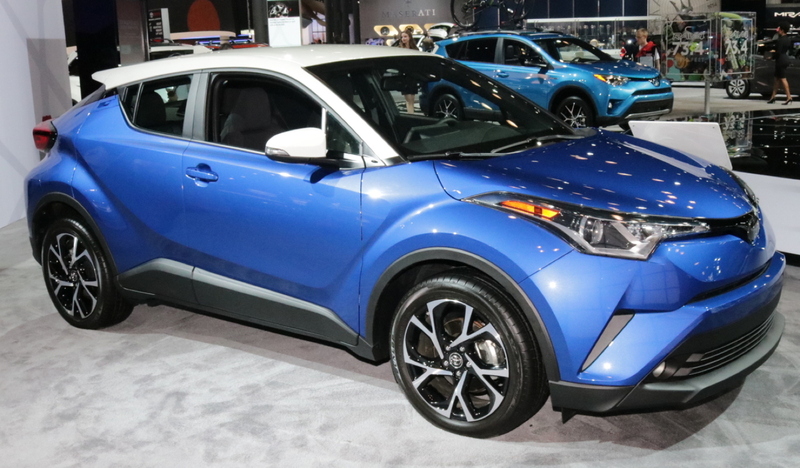 Originally planned as a Scion model (alá Plymouth PT Cruiser), the C-HR was rebadged as a Toyota before production began. Set to compete with the likes of the Chevrolet Trax, Mazda CX-3 and the Nissan Juke, this cute ute doesn't offer all-wheel-drive, putting it at a distinct disadvantage. Relegated to the Gulf South and West Coast markets, primarily, it competes more directly with the Kia Soul, Fiat 500L or even the Mazda3. 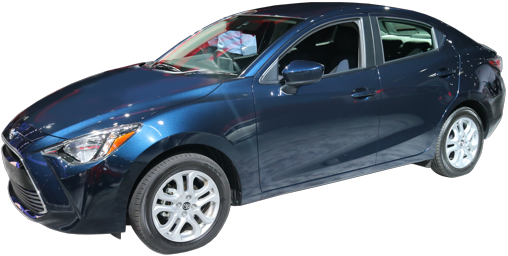 Stylishly, the C-HR is flamboyant, much more of the Mazda3 rather than the 500L family. 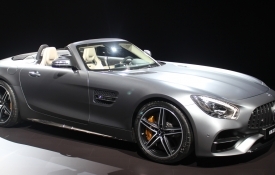 It even offers one of the few factory two-tone paint treatments aside from MINI products. Its fascia is full of stock Toyota DNA, but its exaggerated fender flares, angular cladding and coupe-like silhouette are not. And it all works really well, stylishly. 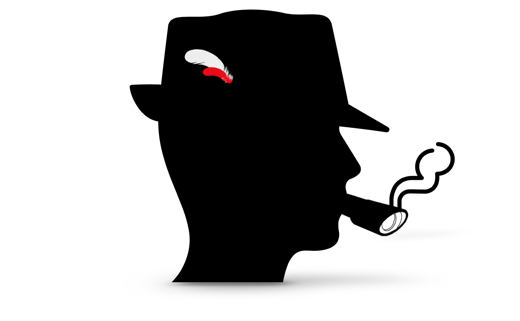 This is a coherent, fun design. Sadly, the fun exterior will not deliver on its promises in either off-road prowess or acceleration. With only 144 pounds to carry 3300 pound, it will not break 10 seconds, zero to 60 MPH by much if any. At least its tidy strut and double-wishbone independent suspension promises competent if not speedy handling, and its brakes, at 11.75" front, are up to the task. No manual transmission is offered, only a CVT. 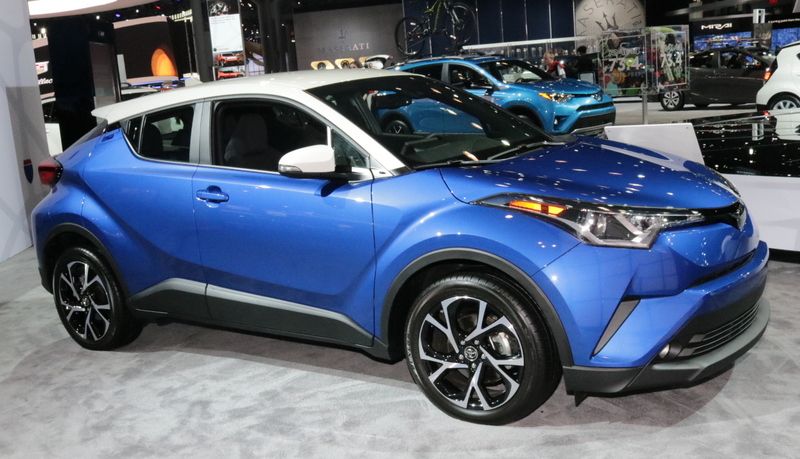 Other than the styling, the big bright spot is safety: the C-HR comes standard with "Toyota Safety Sense®," a package that includes forward collision warning, autonomous emergency braking, lane departure warning, a driver alert monitor (warns when the driver is drowsy and should take a break), Dynamic Radar Cruise Control (keeps a steady distance, even slowing down for traffic), steering assist (to make staying in the middle of the lane easier), and even automatic high-beams, to dim the high beams for oncoming traffic (the driver still needs to avoid blinding drivers from behind). 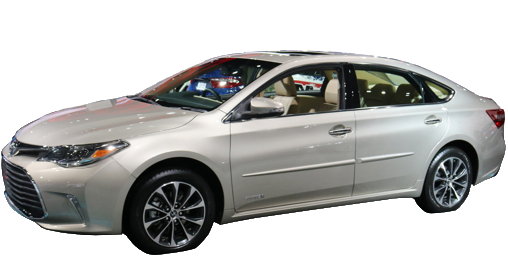 This is a seriously comprehensive package, lacking only blind spot warning and rear cross traffic warning, both standard on the XLE Premium model for $1850 more. The XLE Premium also gives buyers power folding mirrors (they tuck in automatically when you lock the doors), fog lights, heated front seats, hands-free keyless entry, and fancy puddle lights in the bottoms of the side mirrors. If you want more verve under your pants as well as in front of your eyeballs, maybe patience is in order: Japanese C-HR's offer all-wheel-drive and a turbocharged engine. It wouldn't be the first time a manufacturer led with the sizzle and gave us the steak as follow-through. 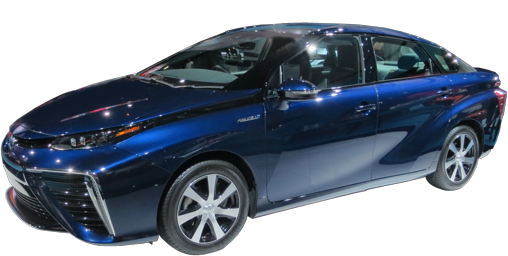 The Camry is "all-new" for 2018 and you can mostly remove those quotation marks. Engines: the standard 4-cylinder is still 2.5 liters, but its bore, stroke, compression ratio and fuel delivery are all different. Horsepower is up significantly: 203-206 vs. 178 HP. Torque is about the same. For the first time, the XSE gets a hotter version alá Honda Accord Sport, with 206 horsepower to the standard 203. The V6 is also up: 33 horsepower to 301. 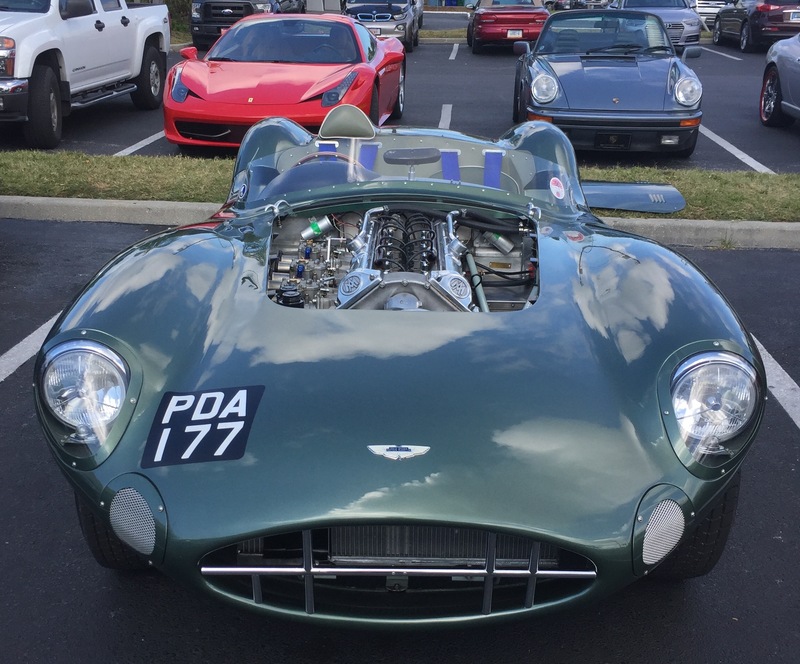 Both seeing the benefit of direct fuel injection and a higher compression ratio. Now that the Honda Accord only uses turbocharged 4-cylinder engines, the Camry is the only mid-sized family car to offer a V6 anymore. 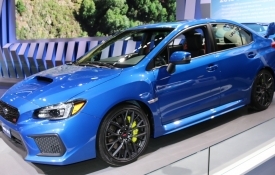 An eight-speed automatic replaces last year's six-speed. Fuel efficiency is up a lot, too. Brakes are slightly larger on the new model: 12 inches for the front rotors. A double-wishbone rear suspension replaces the previous multilink rear. 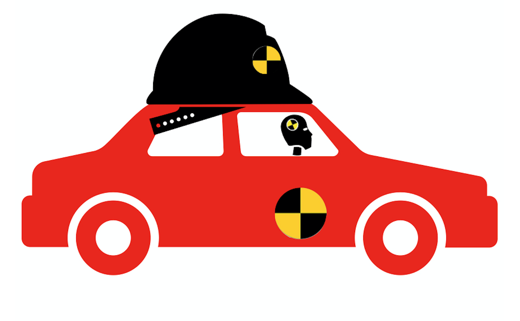 Toyota Safety Sense® is now standard on all Camry models. 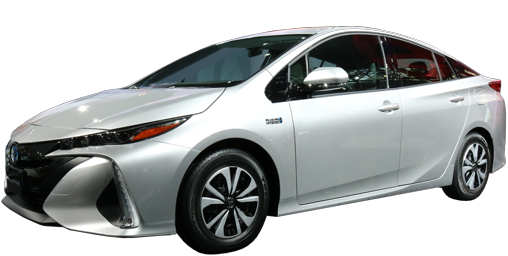 All of its features were previously optional on XLE and XSE: automatic high-beam dipping, dynamic radar cruise control, Pre-Collision System, and Lane Departure Warning. XLE and XSE models get all-speed Dynamic Radar Cruise control as standard; the Camry XLE/XSE will keep a safe distance, all the way down to stopping in traffic by itself and resuming travel when traffic starts again. Tires on the SE, XLE and XSE are larger. XSE models get 19-inch wheels for the first time, wearing 235/40R19 all-season tires. Curb weights are about the same, but the center of gravity is lower, which should improve handling. 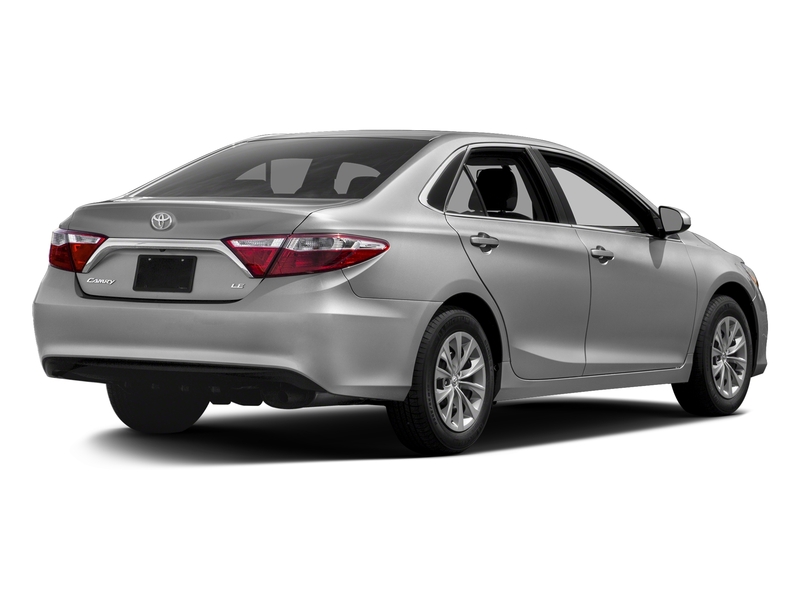 The overall height of the 2018 Camry is exactly an inch lower than the 2017. A heads-up display is now offered on XLE and XSE (standard on V6) that projects the car's speed on the windshield, as well as navigation directions and other information. This Scion transfer is unchanged. Rear seat DVD player with screens is no longer standard: extra cost option. No changes to the hydrogen-converting electric car. 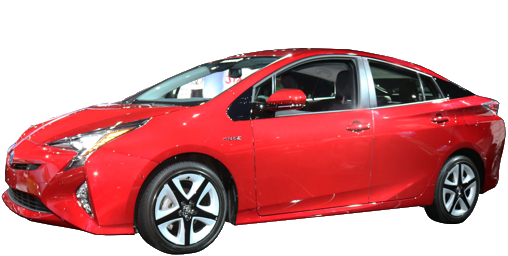 The littlest of Prii (Priuses, Prius?) is almost unchanged for 2018. 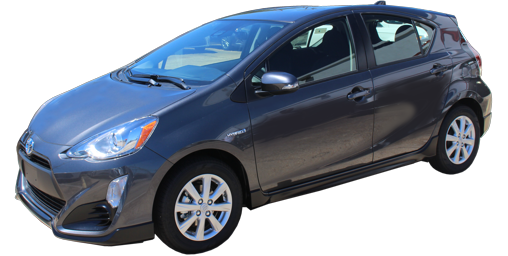 After receiving standard Toyota Safety Sense® for 2017, including automatic braking and lane departure warning, the only enhancement for 2018: backup camera is standard across the board (last year only the Prius c Four had one). The base model now has a name: "Plus." No other changes. The Rav4 is Toyota's third best-selling vehicle, after only the Camry and Corolla. One way it accomplishes this is through variety. For 2018, no fewer than 15 different models of Rav4 are offered, from the LE FWD to the Platinum 4WD and the Limited Hybrid 4WD. For 2018, one of those is new: Rav4 Adventure. The new Rav4 Adventure adds several unique qualities: up to 3500 pounds of towing capacity (other models top out at 1500), almost half an inch more ground clearance (also present on the SE, now) for a total of 6.5 inches, and a 120-volt power outlet in the cargo area. It also offers optional front windshield wiper deicer and heated steering wheel (the latter is standard on Platinum). 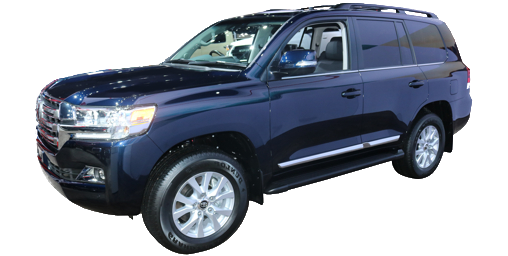 Sequoia gets standard Toyota Safety Sense®, a suite of important safety features which include: Pre-Collision System with Pedestrian Detection (a collision warning and automatic braking system), Lane Departure Alert with Sway Warning System, Automatic High Beams and Full-Speed Range Dynamic Radar Cruise Control. Front and Rear Parking Sonar, Blind Spot Warning and Rear Cross Path Warning are also now standard on all trims. New LED headlights are standard. Rear windows now also have standard automatic up/down function in addition to the front. 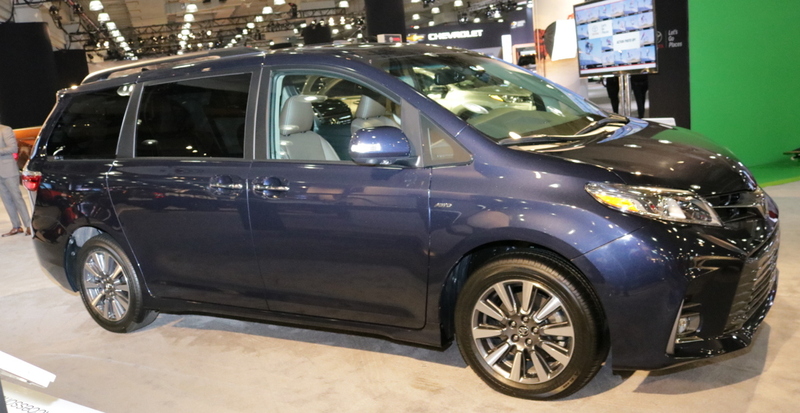 The big news is that Toyota has made its Toyota Sense™ P system standard on all Sienna models. Forward Collision Warning and automatic braking, previously only available on front-wheel-drive Limited Premium is standard, as is Lane Departure Alert with Steering Assist (first time offered on Sienna), Automatic High Beam Headlights and Dynamic Radar Cruise Control. A refresh brings new grille, bumpers, lights. 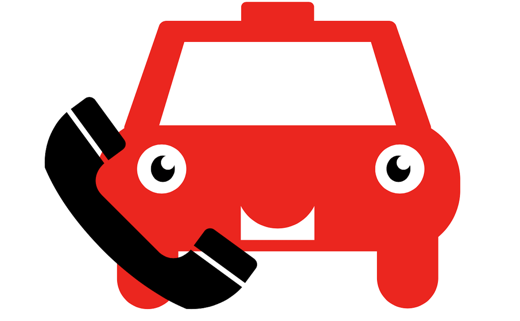 Connected Navigation App and App-Suite smartphone integration becomes standard on all models. A Bird's Eye View Monitor is now available on Limited Premium. Safety Connect with an automatic emergency response system is expanded to all models except L.
Sienna Limited gets laminated front window glass to make it even quieter and also more secure by making smashing through the front windows almost impossible. 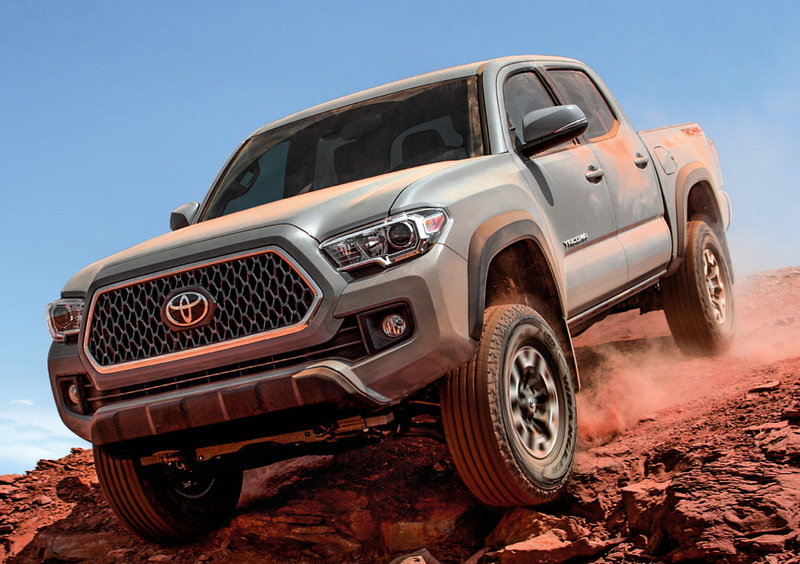 Toyota adds standard Safety Sense P to the Tacoma for 2018: Pre-Collision System with forward collision warning and automatic emergency braking, Lane Departure Warning, Sway Warning, Automatic High Beams, and Adaptive Cruise Control. The 5-speed manual in the 4-cylinder model is replaced with a 6-speed. The Tundra regular cab, long neglected (only in SR trim, only one engine, only one box length) is now gone. Only Double Cab and CrewMax bodystyles are available. 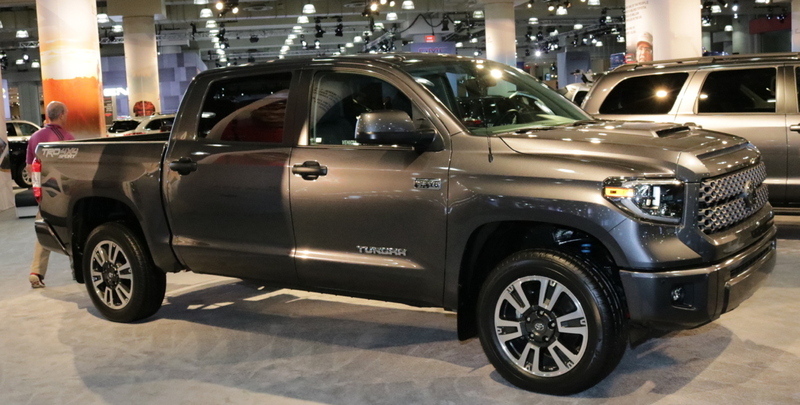 Tundra TRD Pro is gone, replaced by TRD Sport, a less expensive alternative. 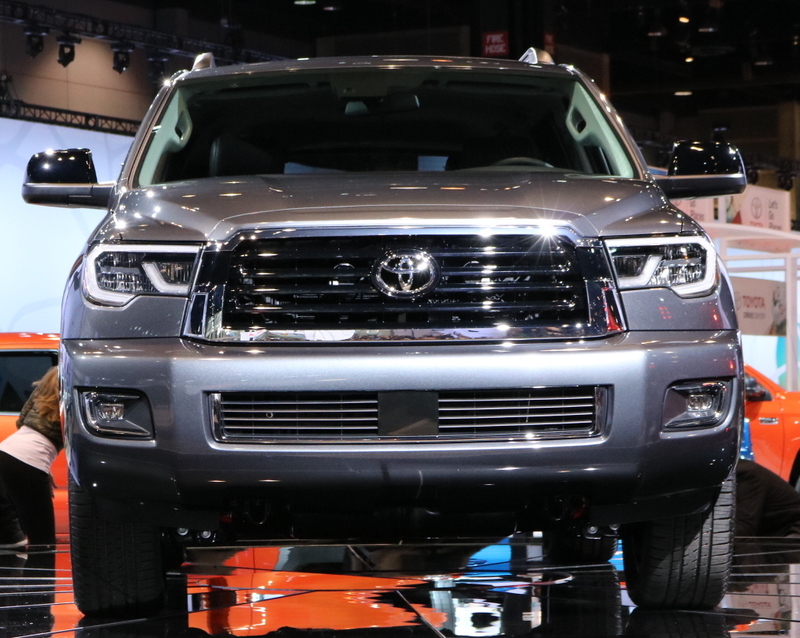 The other big news: Tundra joins other Toyotas in gaining standard Toyota Safety Sense®, a suite of important safety features which include: Pre-Collision System with Pedestrian Detection (a collision warning and automatic braking system), Lane Departure Alert with Sway Warning System, Automatic High Beams and Full-Speed Range Dynamic Radar Cruise Control. A slight refresh includes new grilles and headlights on the outside and new gauge designs on the inside. Limited, Platinum and 1794 Editions get LED headlights and matching LED fog lights to replace the halogens with much brighter, whiter lights. 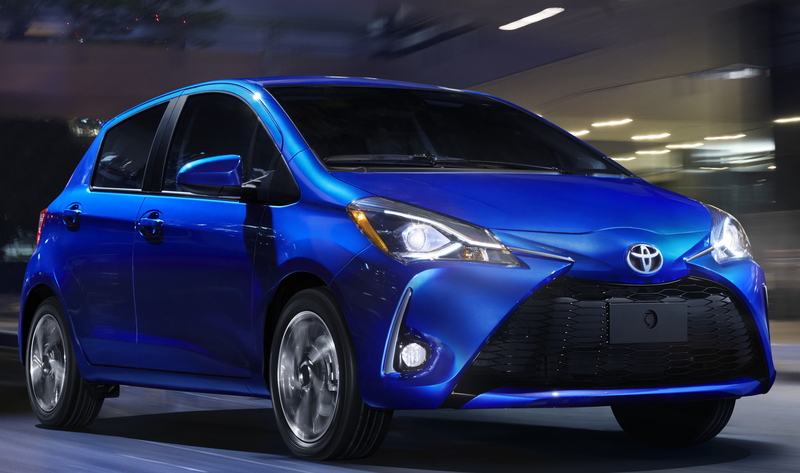 The Yaris gets a new look front and rear and a boost to its safety equipment for model year 2018. A backup camera, not available last year, is standard for 2018. 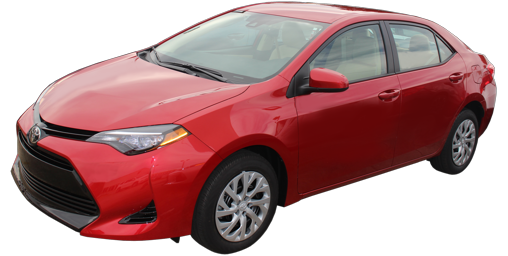 This adds to standard anti-lock brakes, electronic stability control, a nine airbags, and new for 2017 Toyota Safety Sense®, which includes automatic high beams, frontal collision warning, autonomous braking, and lane departure warning. Steering wheel audio controls are now standard across the board, including L models. No changes to this Scion refugee.